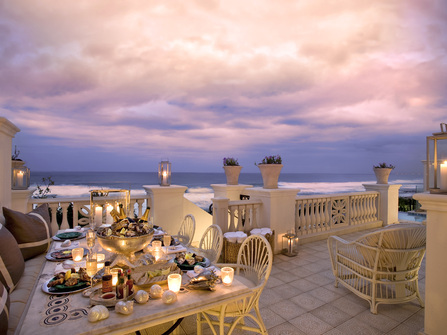 An excellent value safari and beach holiday in KwaZulu-Natal taking in a Big 5 safari and a renowned beach hotel. This holiday is strong on wildlife, beach and relaxation with accommodation in excellent lodging. 'From Price' is the average price per person for ground arrangements for two people sharing. KwaZulu Natal, known as the 'Garden of Africa', is blessed with a year round tropical climate and is the only location in South Africa suitable for beach holidays in July / August (winter). 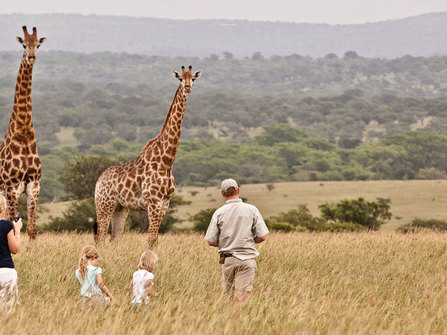 The inland areas around Hluhluwe are typified by undulating hills and rich, diverse wildlife. On the northern coast, the Isimangaliso wetland park is home to a vast array of bird and wildlife, including hippos and crocodiles. Further south, the coast offers long sandy beaches and some lovely beach resorts. 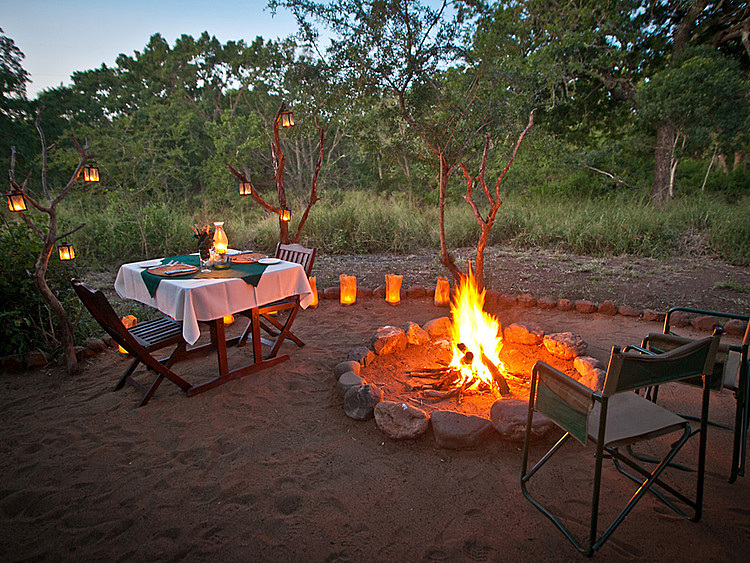 We find that KwaZulu Natal currently offers the most reliable and best value bush and beach experience in Africa. 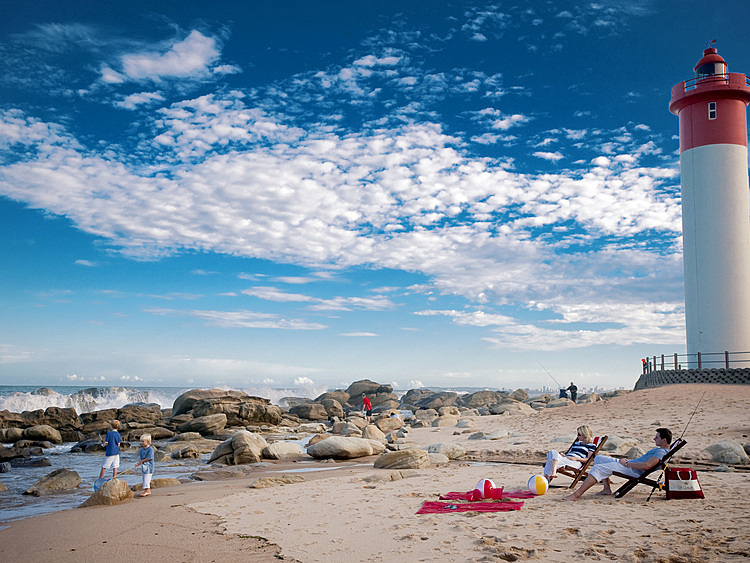 We recommend flying into Durban, from where it is a three hour transfer to the Game Reserve. Rhino River Lodge is a lovely small all inclusive safari lodge in a private 23,000 hectare game reserve near Hluhluwe. 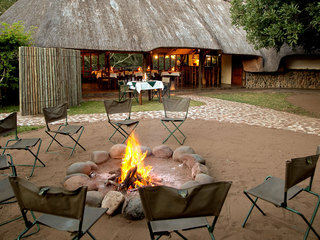 The lodge is a welcome retreat with its atmospheric fire pit area and swimming pool. Your stay includes two game drives per day in open-air safari vehicles with good chances of seeing all the big five. 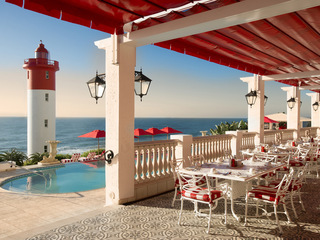 After your safari, you can enjoy some serious relaxation on the Coast at the luxury Oyster Box, a renowned family friendly five star hotel with stunning sea views, perfect for relaxation. Apart from enjoying the beach and swimming pool, this also a good base for a day tip into Durban where you can explore the bustling Indian Market or head to the uShaka Marine World Ocean theme park, which boasts the highest water slide in the Southern hemisphere. 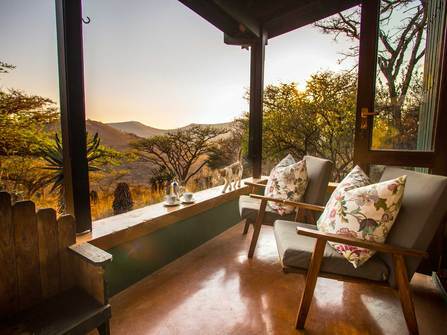 This is a tailor-made itinerary, there are a number of fantastic upgrade options both for the safari (Rhino Ridge, Thanda and Phinda) and for the Coast (Thonga, Rocktail and White Pearl). For those looking to bring costs down, you could save approximately £100 / $130 per person by downgrading to the Fairmont Zimbali or Canelands on the Coast. Day Notes: Your day on safari generally starts with an early morning rise for the departure of your game drive, during your drive you will stop for drinks and snacks. You then return to the lodge for a hearty full English breakfast and then enjoy the remainder of the day at leisure. A light lunch is served. Late afternoon meet for game drive, again stopping en route for refreshments. A three course South African dinner is served at the lodge. Day Notes: After morning game drive and breakfast, depart for the coast. Reach the guest house for mid to late afternoon, relax, have a swim and enjoy dinner at the hotel. Day Notes: Enjoy the stretch of beach which is right on the doorstep of the hotel. There are a number of adventure activities available nearby from Natal sharks board, scuba diving, snorkelling, micro lighting and deep sea fishing. Should you want to explore Durban, which is about an hour away, local transport can be arranged to enjoy the diverse cultural melting pot and perhaps visit the uShaka Marine World. 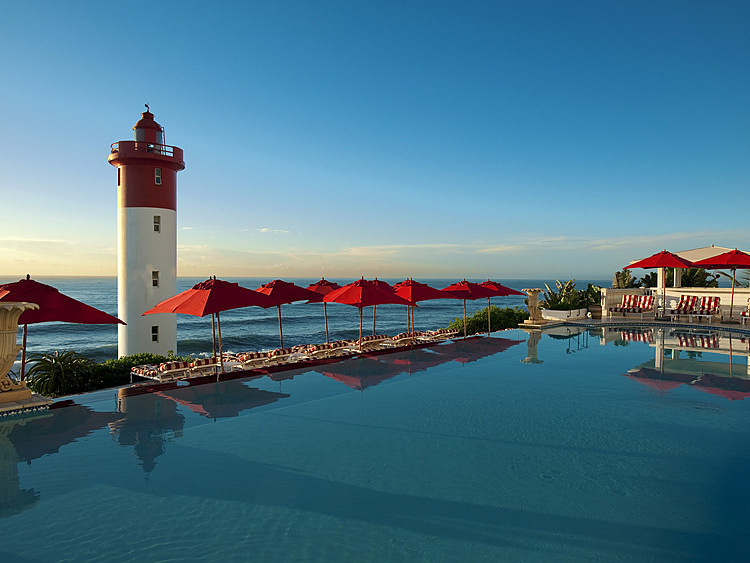 South African Airways, Virgin Atlantic and British Airways have good regular connections from Johannesburg to Durban which work well with overnight flight from London to Johannesburg from £950-£1250. Emirates and Qatar also offer services to Durban via Dubai and Doha and can be excellent value. Flight prices on this route are always cheaper booked in advance, particularly when flying during UK school holidays. If you are booking anything less than a month prior to departure expect to pay through Virgin and BA tend to offer flight sales around September and October, which are worth looking out for. Please let us know your preferred departure airport and we would be pleased to quote for a flight inclusive ATOL protected package. Excludes international flights. Please get in touch for a flight inclusive quote for your dates. This holiday is available all year round, although both accommodations will book out early for the Christmas period. 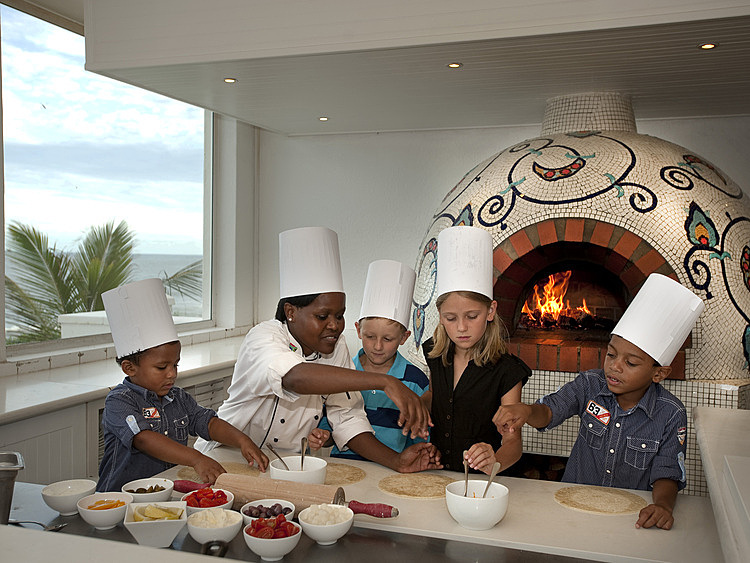 October - March is summer in South Africa and is the best time to view turtles hatching. At this time of year, temperatures will be 30C and over with occasional rain. April - September is winter, which means sunny days with temperatures up to 25C and no rain. The bush is less dense at this time of year, so wildlife spotting is best in June, July & August. 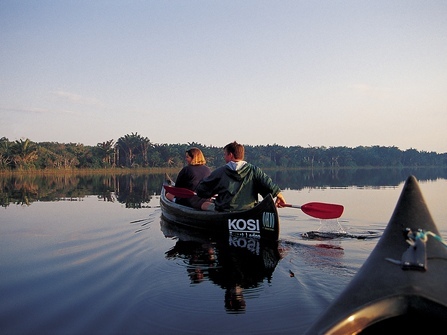 If you have more time, you may want to consider extending into the Drakensberg Mountains for some walking, visit the historical battlefields and the beautiful Isimangaliso Wetland Park.